On March 16, 1958, the Ford Motor Company made its 50 millionth car, a Thunderbird. 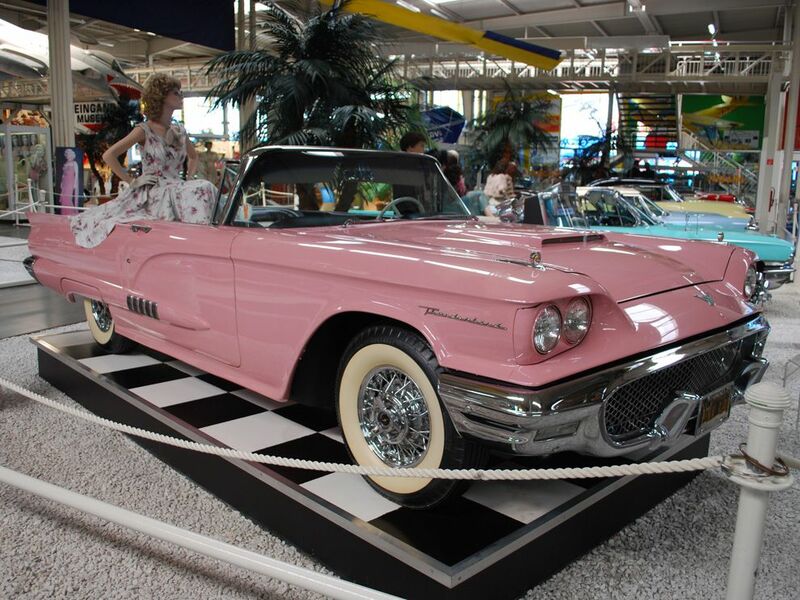 A 1958 Thunderbird similar to this model was the 50,000,000th car manufactured by the Ford Motor Company. Photograph by Hugh Llewelyn, courtesy Wikimedia. This file is licensed under the Creative Commons Attribution-Share Alike 2.0 Generic license. On March 16, 1958, the Ford Motor Company made its 50 millionth car, a Thunderbird. Starting in 1903, Ford made almost 1 million cars each year, and although production has fallen, Ford remains one of the largest car manufacturers in the United States. The manufacturing facility in Dearborn, Michigan, produced Ford’s no. 50,00,000. Dearborn was the home of company founder Henry Ford, and remains the headquarters of the company today. agricultural products such as vegetables and fruits.